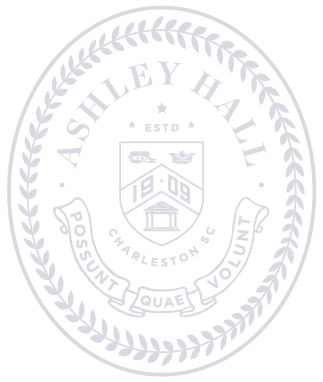 For Ashley Hall’s full Faculty + Staff list, please click on the button below. All visitors must enter the Ashley Hall campus through the Smith Street main gate and present a valid ID at the Pardue Hall Reception Area. Visitor’s government-issued identification will be scanned to produce an ID badge to wear while on campus. Please allow extra time on your first visit to allow for this scan of your ID. For security reasons, please note the Rutledge Street gate is not a campus entry point. Please be mindful with limited on-campus parking, all on-street parking is one hour only, or metered parking, 24 hours a day. The Ashley Hall parking lots on Smith and Ogier Streets are open to visitors after 3:00 p.m. daily. Unfortunately towing is enforced in all other lots around campus 24 hours a day, seven days a week. Thank you for your cooperation and understanding.